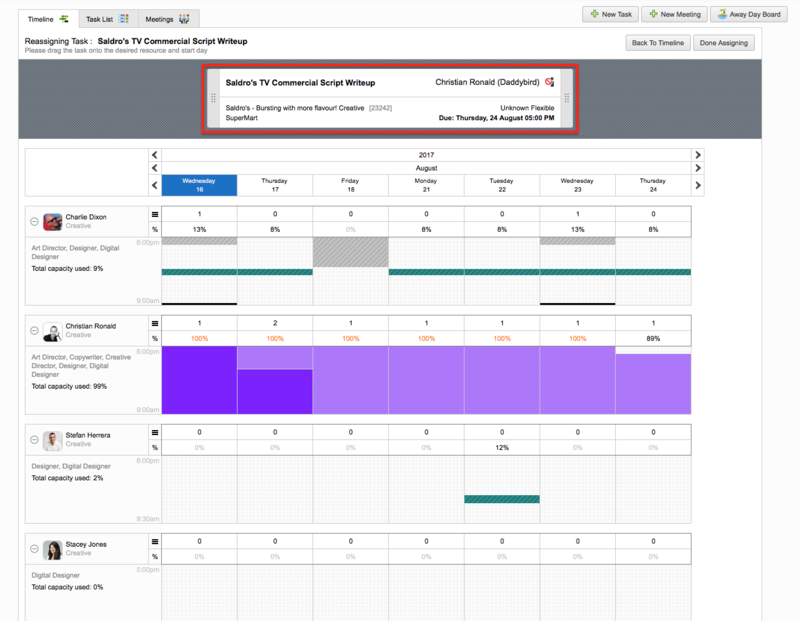 This is an overview of admation’s Reassign Tasks Feature. Dispense with having to scroll through spreadsheets to reassign a task urgently. 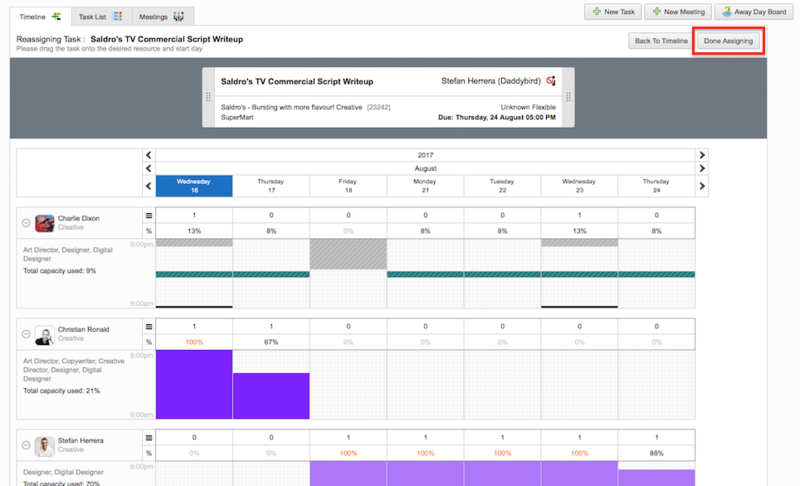 This feature enables marketers to re-allocate tasks in just a few easy steps. Click Resources found on the top navigation bar. 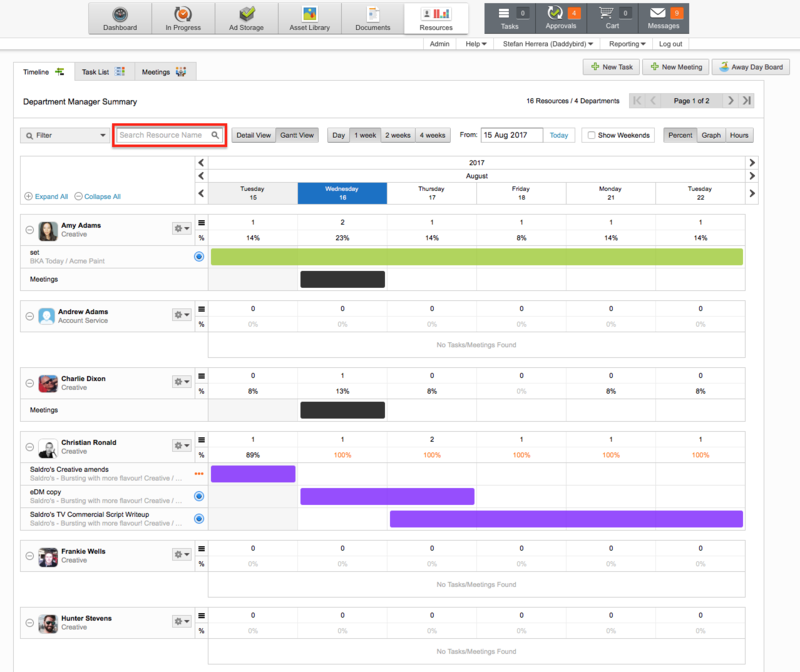 The Timeline View is where you can view the workload of each resource in your department. To search for a specific resource, use the Search bar. Click the Cog icon next to the resource whose task you want to reassign. Select Re-assign Tasks from the dropdown menu. Click on the task you wish to reassign. Another dropdown menu with the task’s details will appear. Click on the Assign Task icon. Next you will be directed to the Reassigning Task screen. Reassign the task by dragging and dropping it onto a specific day on the timeline of a resource with sufficient capacity. Click Done Assigning once you have reassigned the task. View the details of the task from the Timeline View screen.